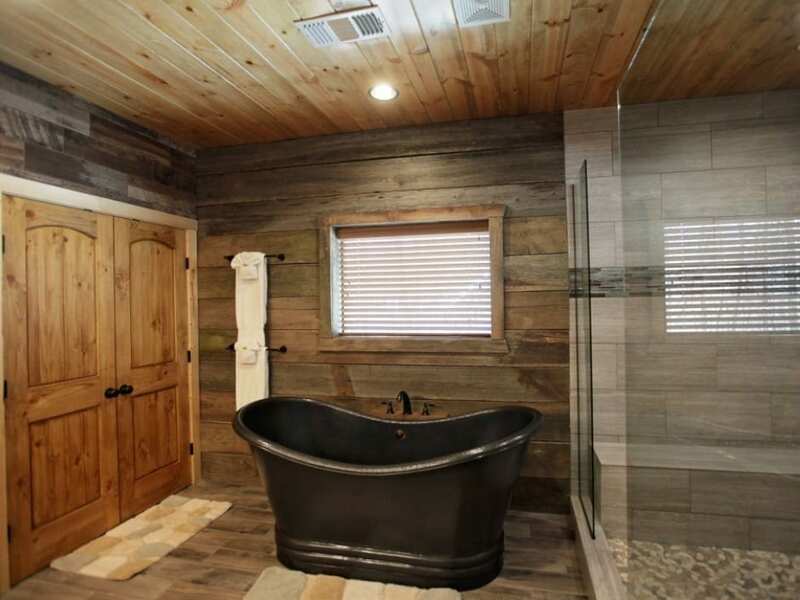 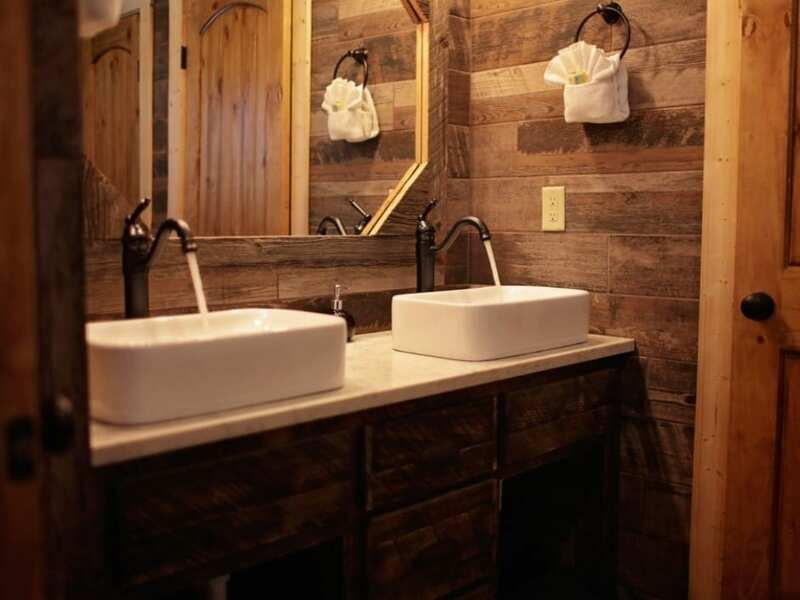 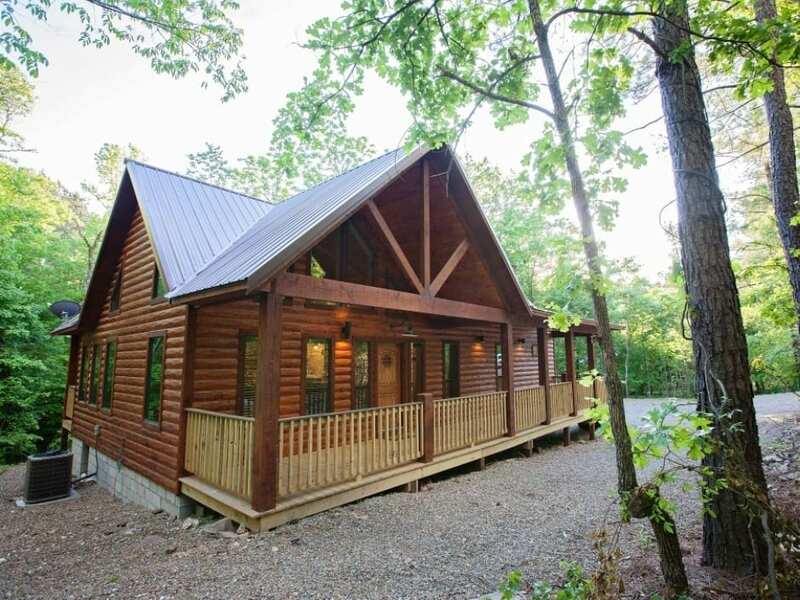 Whispering Creek is a modern rustic luxury retreat nestled in the trees and tranquility of Timber Creek Trails area. 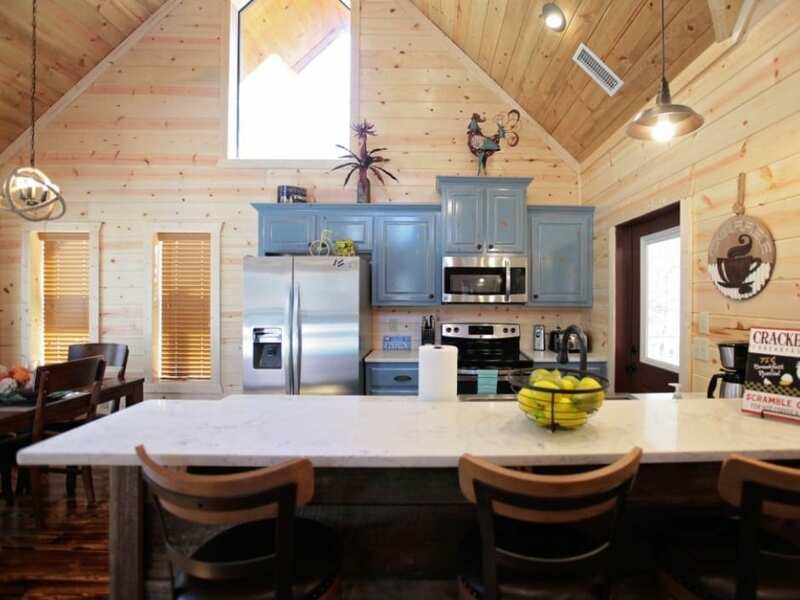 The open floor plan is beautifully designed to create an open space but still maintain privacy in the cabin. 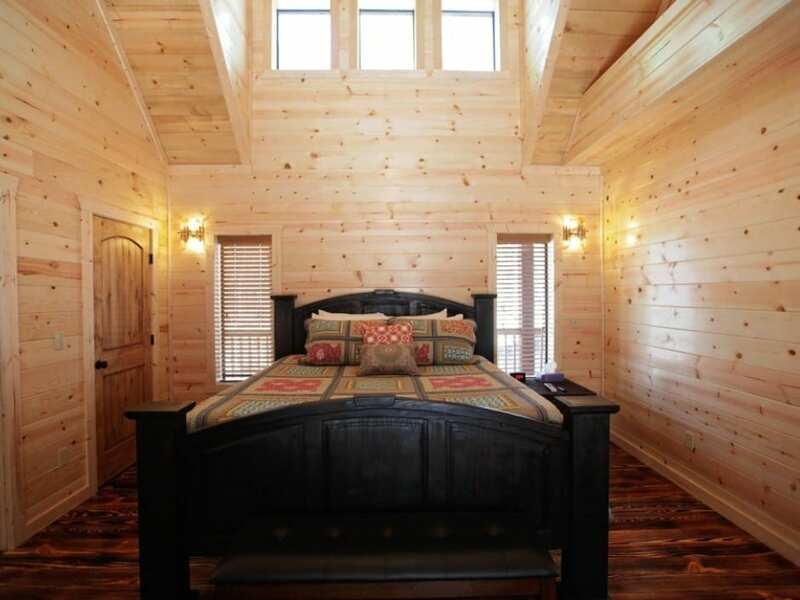 Use the dimmer switches on the lighting to set the perfect mood for a romantic evenings. 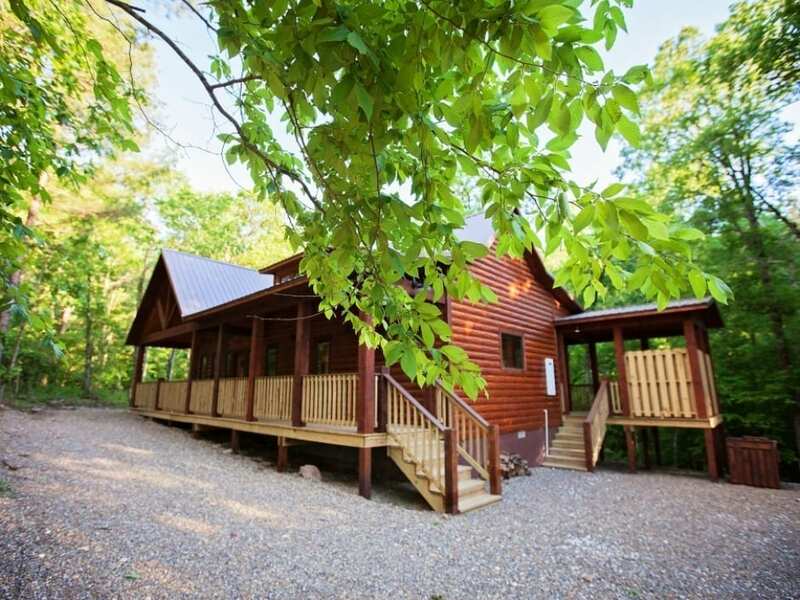 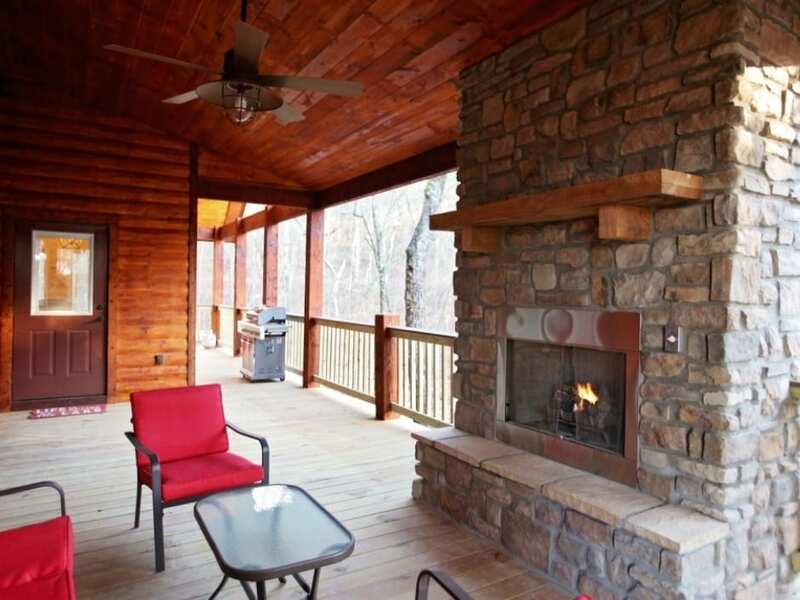 Whispering Creek features gas rock fire places on the inside living room and on the outside deck of the cabin. 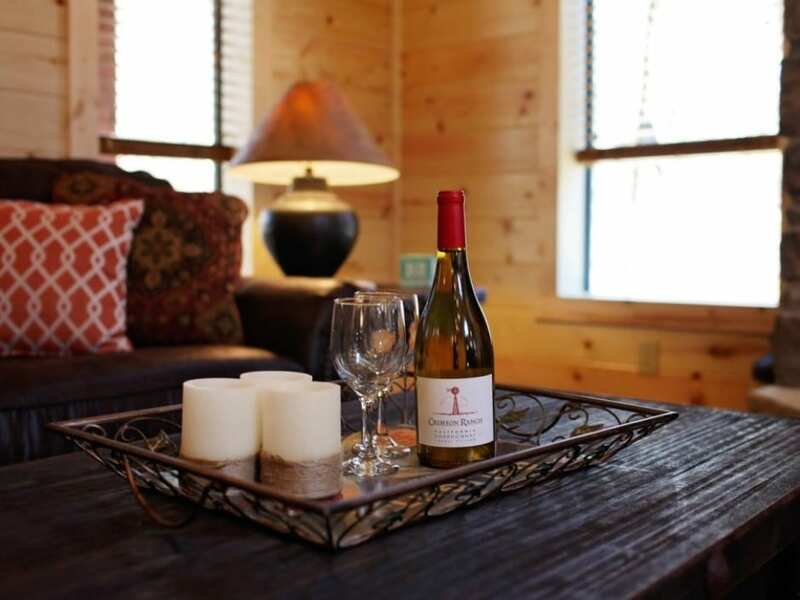 Enjoy an evening meal by the flickering firelight on the back deck. 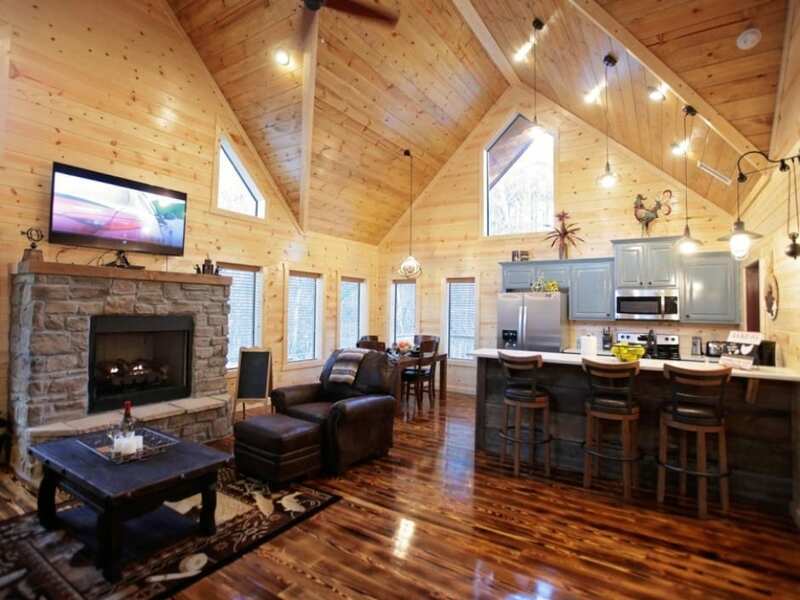 Fireplaces are seasonal October through April. 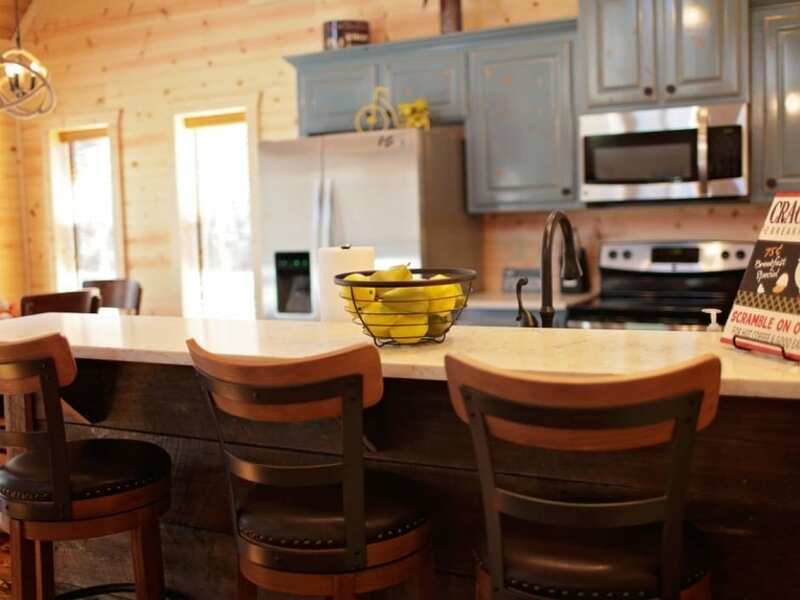 Whispering Creek has a fully equipped kitchen with stainless steel appliances and a stainless steel farm sink. 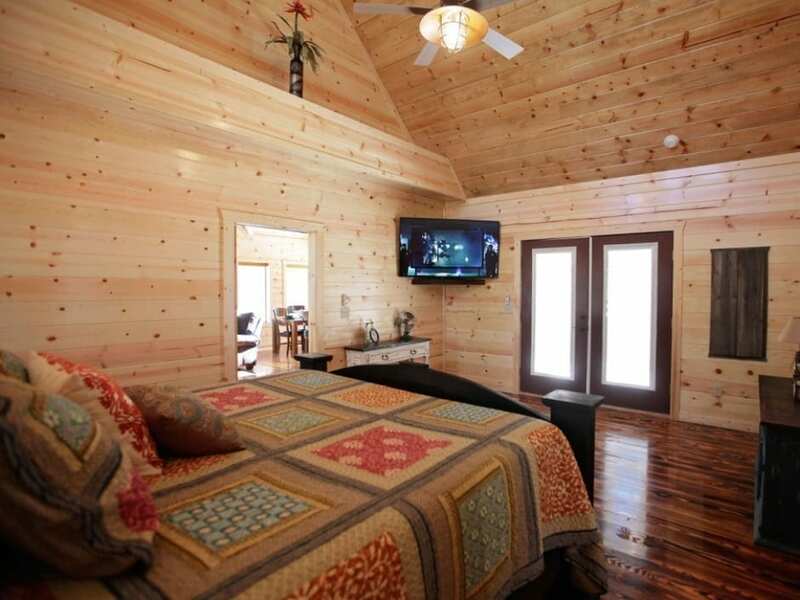 The large bedroom has a king size bed completed with a memory foam mattress and luxury linens. 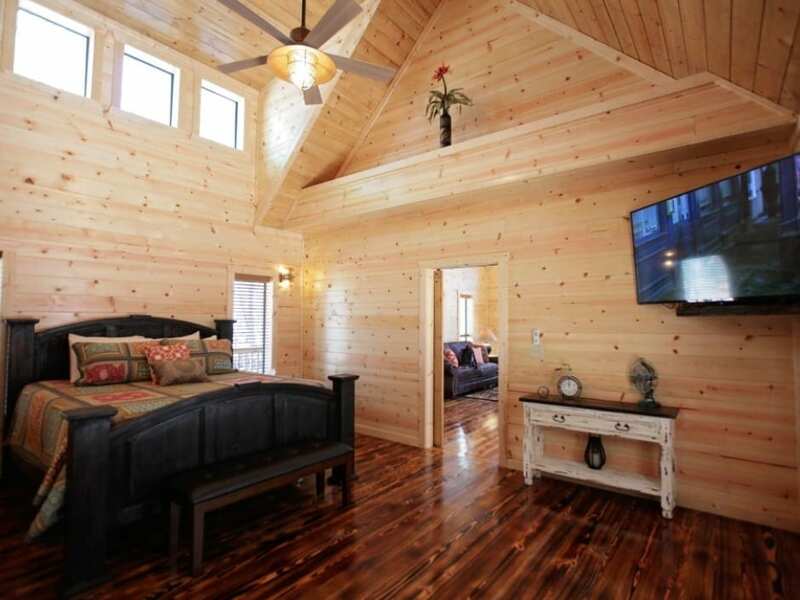 The cabin has vaulted ceilings throughout the living area and bedroom. 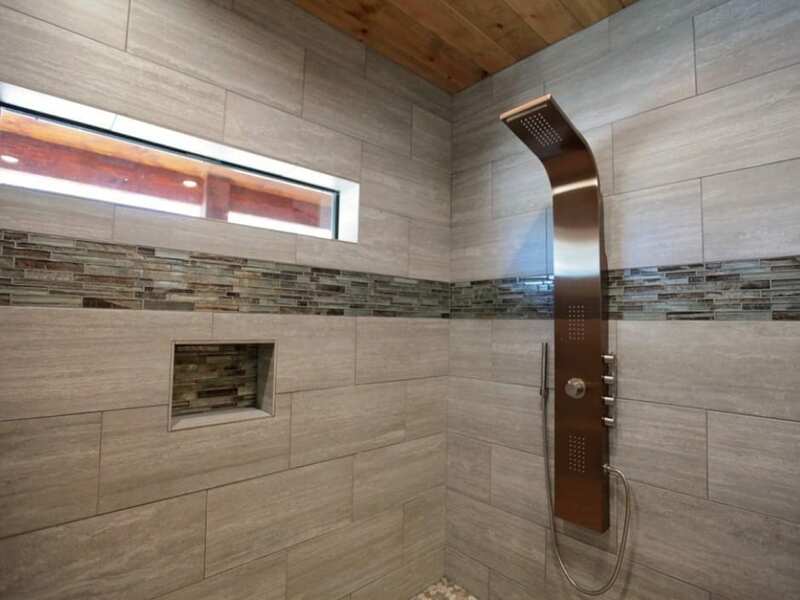 The bathroom at Whispering Creek features a spacious walk in tile shower with a rain shower head with multiple spray heads and body jets. 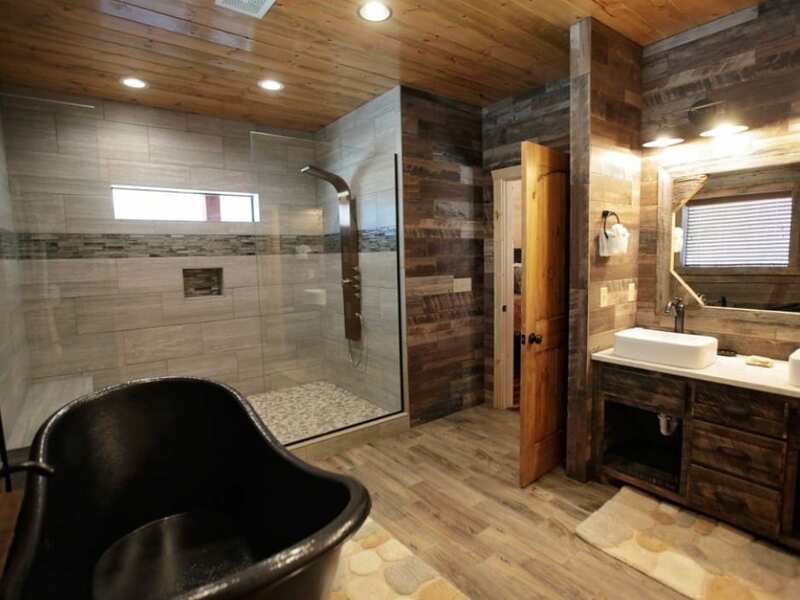 The bathroom also has a large copper hammered soaking tub. 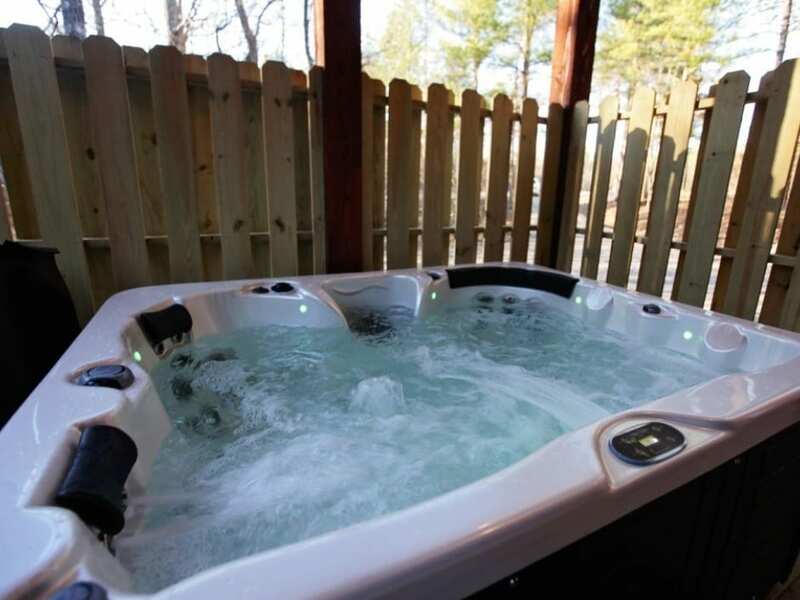 The deck outside has a rock gas fireplace, a 4-5 person hot tub, and gas grill (propane provided). 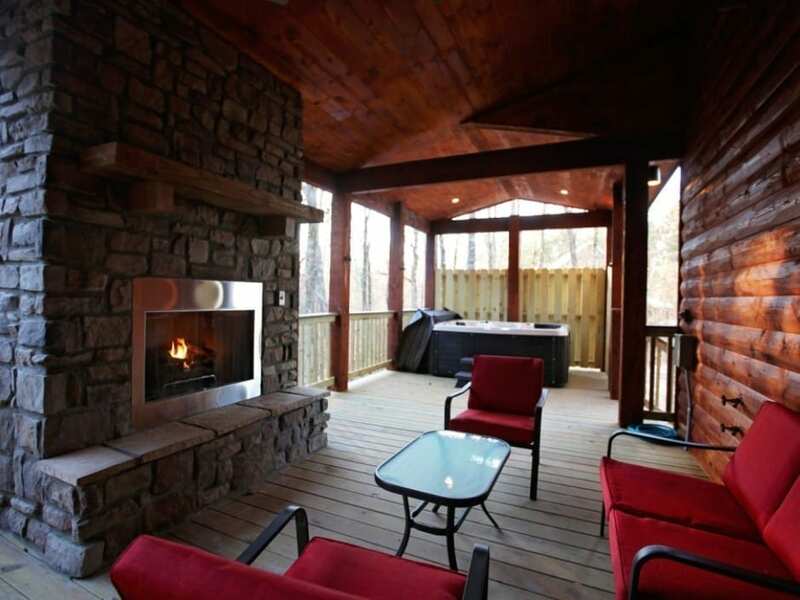 Don’t forget to bring your marshmallows and graham crackers for s’mores at the open fire pit.